Last November I posted about hoping O had an infection in his tummy, because if he didn’t there was a possibility he could be suffering from Coeliac disease. Eleven months down the line and we are still yet to get an actual diagnosis. It took over six months just for him to even get an appointment with the paediatrician! Six months of screaming, six months of sleep deprived nights. Six months of constant nappy and clothing changes, even through the night. By the time the appointment came we had managed to figure out that Soya was affecting him too so he was totally dairy and soya free, yet was still not right. We were quite lucky to get the same paediatrician O was under as a baby when he had trouble with raised liver enzymes and reflux so she knew us and is a really lovely doctor, which is always a comfort! The paediatrician agreed that he could be coeliac but said that there was also the possibility of him having an allergy/intolerance to wheat or gluten, or something else entirely. But to start with, she arranged for some blood tests. One to see if he had the coeliac antibodies in his blood, a genetic test to see if he is susceptible to coeliac (even if he doesn’t have it now) as well as some others including a full blood count and a check of his liver enzymes just as a follow up review. 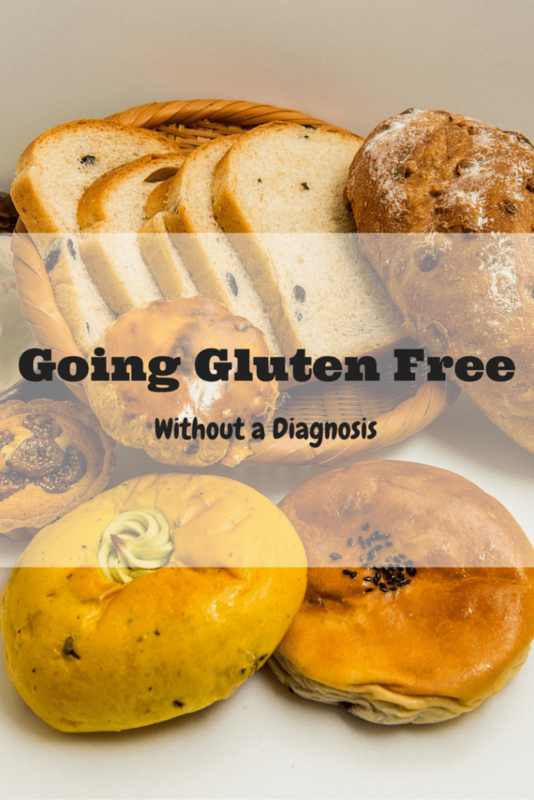 In July I had a call to say that we needed to up his gluten intake and go back in a few weeks to repeat the antibody test. which we did and suffered even more because of it. By this point I’d had enough, it broke my heart every time I gave him something to eat, knowing that I was probably causing him pain and discomfort. So, without the go ahead from the doctor we made the decision to switch him to gluten free. After all, if the antibodies were going to be in his blood at all, surely two tests should be enough and the best way to diagnose an allergy or intolerance is to exclude the problem foods from your diet. Theswitch would have been much easier if it had just been the gluten that was an issue but you see, just to make life super difficult for me, the majority of dairy free products are made with soya milk and the majority of gluten free products are made with soya flour or contain soya lecithins. So obviously it is a right pain in the backside trying to find foods which contain none of these things! It took us a few weeks and a lot of hiccups, but by September he was totally gluten, dairy and soya free. Last week I was thinking he wasn’t really improving that much and that we should just jack it in, when a family friend asked me whether he could have some biscuits. I said yes, just to see if maybe I was wrong and it wasn’t the wheat after all (this brand had no dairy etc in them). Lets just say that after some extremely stinky nappies a grouchy, lethargic toddler with a gurgly, swollen tummy and a sleepless night, my faith in my own intuition had been restored! I guess it will just take time for the gluten to completely leave his system and for his tummy to recover. Either that or there is something else affecting him as well, which I would rather not contemplate right now! Let’s hope that we get another appointment soon so we can get a real diagnosis. I’m sure the doctor will disapprove of the fact I have removed wheat and gluten from his diet without her say so, but at this moment in time I am sure going gluten free was the right choice we could make for our son and I would do it again in a heartbeat. Have you excluded something from yours or your child’s diet? I hope you get a real diagnosis soon. Oh, I feel for you! I have Crohns Disease and while I have a specialist the wait to see him is ridiculous. I had an appointment in April which was cancelled by them for no reason they could give me. They offered me the next available appointment which is apparently December! I self medicate now and adjust my dosage and diet as I see fit. It works for me. I’m really sorry but you may learn (like I have) that you’ll face this battle on your own. It must be so hard to not know what’s wrong with your child. Hope you find out soon. That’s shocking that it’s taken so long so far to get where you are. Hope you get a diagnosis soon but I think I’d be like you and manage what I gave them. As adults we avoid food that upsets us so it seems sensible (to me at least) to do this for your children as long as they’re still eating a healthy and nutritional diet. Oh gosh I can’t imagine how hard it must be to feed child with obvious allergies, especially when you haven’t had a confirmed diagnosis. Sounds like excluding stuff froths diet is the sensible thing to do, it would be impossible to feed your child something and then sit back and watch them in pain. I hope they diagnose him sooner rather than later just to give you all peace of mind. I am sorry to hear about the doctors it makes me mad that you are not being supported and you made the right decision excluding certain items from his diet. Poor little thing! I had to cut out eggs and oil from my little lady when she was one, as she had an allergy flare up which was awful, but, the Dr didn’t know what caused it. So, I stopped giving her some foods, and after a few months, I tested them and ….nothing. So, I still dont know. It’s awful isn’t it. I don’t wait for Drs….do what you feel is right. Over six months to be seen?! The poor fellow! I personally don’t rely on doctors because I know my body better than they ever would but I hope that you’re able to find out what’s really affecting your little one. Hope you get a diagnosis soon. I’m thinking of going gluten free too but it seems like such a huge undertaking. It must be quite tricky with a little one. I hope you finally get some answers. It’s hard to have an intolerance to something that is in a lot of foods. It’s a shame that you’ve had to trial it out on your own to find out what the cause is. O isn’t an adult and therefore should have a higher priority, I believe. It breaks me to see a baby/child in pain. It can be so unsettling just wondering what is going on. I hope you get a proper diagnosis soon. Mrs C recently posted…Bye to blogging? Oh my gosh I can’t believe how long it takes to get a diagnosis! It’s good you trusted your intuition. I don’t think mothers intuition is ever wrong. You said you didn’t notice a change for a while after cutting things out, but I think it will take a while for the body to adjust. Lately I’ve uphauled my diet and started to clean eat (more for mind rather than body) and for weeks my skin and hair have suddenly turned atrocious. I’ve spoken to a professional and apparently that’s completely normal because your body is getting rid of all the toxins and readjusting to your new lifestyle. Maybe you didn’t notice the difference because something similar is happening. oh goodness it sounds like such a difficult time. I really feel for the emotional aspect of it all too. It’s just so awful seeing them in so much pain and not knowing the cause definitively – it really causes so much stress. Good luck. Our baby was allergic to Cow’s Milk and watching her writhe and scream in agony after a feed and then come up all over in hives was just insanely difficult. I often go for gluten free meals when I ma diet, despite the starch in it I know there are better inegriedience. It all sounds exhausting. Both my boys have suffered from horrible stomach problems and lots of pain and it’s heartbreaking. The symptoms they had didn’t/don’t really fit with an allergy or intolerance, though, so we didn’t have to try cutting out food groups. We’re vegetarian and Tyger has ASD, which means he has a lot of problems with food textures. so reducing the food he can eat even further would have been extremely hard. Luckily Tyger has mostly grown out of his stomach problems and Bear has improved. I hope you get a diagnosis soon. The uncertainty and waiting is frustrating. teacuptoria recently posted…The Proposal !!! !